What is Helen Brett Enterprises? Helen Brett Enterprises, Inc. is one of the premier trade show production and management companies in the United States and Canada, bringing buyers and exhibitors of fine jewelry, accessories and gifts together for 70 years. In 1945, Helen Brett began her enterprise by happenstance. As a traveling saleswoman, she found herself in a position where she could either out do her competition or help them. She chose the latter. Having secured a sample room at a hotel to display her merchandise, she found five fellow salespeople who had lost their space to returning servicemen. Instead of gloating about her chance for exclusivity, she asked the displaced salespeople to join her. The five then crammed into a very small sample space to display and sell their wares. Afterwards, they asked Helen to make arrangements for their next trip. She booked 10 sample rooms the next time…then 18…once word got out, salespeople from all over were calling Helen to make arrangements for them. The response was so great that, in 1946, Helen created the first official “Helen Brett Gift and Jewelry Show,” and Helen Brett Enterprises was born. Her simple act of kindness would develop into a dream of encouraging lasting relationships between exhibitors and buyers. Today, Helen’s name is renowned for the Gift and Jewelry Shows held semi-annually in the cities of New Orleans, Louisiana, and Memphis, Tennessee, and the yearly Baton Rouge, Louisiana, Jewelry and Merchandise Show. These shows have been the realization of Helen’s dream to provide opportunities for developing relationships of trust and honor between her exhibitors and buyers. From that simple gesture of kindness in 1945, Helen Brett Enterprises, Inc. has become a full-service trade show production and management company. Now in its fourth generation of family ownership, President Robert Brett Kolinek, CEM, CMP continues Helen’s legacy of producing and promoting market-driven trade shows and conferences throughout the United States. As an active member of IAEE, past president of IAEE Service Corporation and past Education Committee Chairman, Mr. Kolinek loves to share his in-depth knowledge of the trade show industry as a frequent speaker at IAEE events and other professional meetings. With over 100 years of combined experience, Helen Brett’s key staff maintains a corporate culture that emphasizes the highest level of professional integrity and a standard of excellence that’s unmatched in the industry. The company and its subsidiaries are completely focused on fulfilling customer needs, going beyond just providing a venue for networking exhibitors and buyers. Industry-certified veterans not only deliver comprehensive meeting and special event planning, they provide the latest market research as well as aiding you with marketing strategy development, educational programming, electronic and conventional promotion programs, and media relations. The goal is to provide a fully balanced experience that will enhance relationships between exhibitors and buyers that will ultimately result in their mutual success. There is no greater evidence of the realization of Helen’s dream than the numbers of exhibitors and buyers flocking to her events. 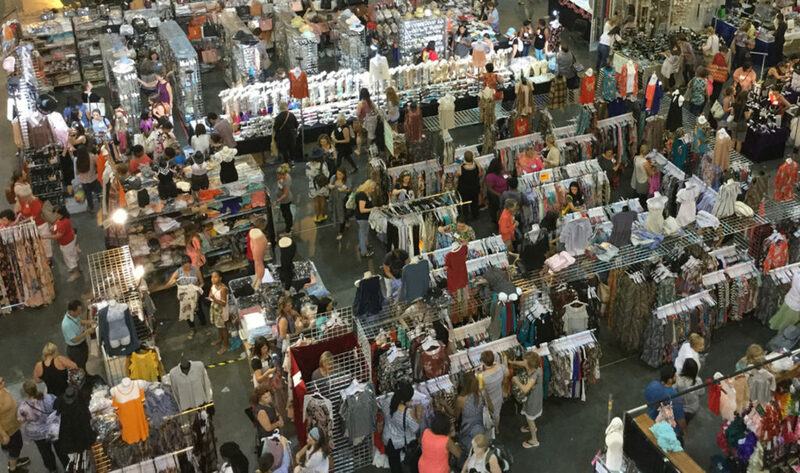 The semi-annual Gift and Jewelry Shows in New Orleans and Memphis, along with the Mid-South Jewelry and Accessories Fair and the yearly Baton Rouge Jewelry and Merchandise Show, are most often sold out with as many as 30,000 qualified buyers visiting up to 1,200 exhibitors. The International Jewelry and Merchandise Show, in its relatively short history of more than 25 years, is already attracting over 30,000 qualified buyers. Held twice each year in New Orleans, the show was named one of Tradeshow Week’s fastest-growing trade shows in the United States and Canada for two years in a row. The show has grown from an initial coverage of 99,000 square feet to 124,700 and from 575 booths to over 1,000. This exciting show not only displays jewelry, but also has apparel, gifts, home décor and cosmetics, primarily for buyers and local merchants. Obviously, we are doing something right. In 1995, after 50 years of carrying on Helen Brett’s dream, Helen Brett Enterprises, Inc. was presented with the prestigious Illinois Family Business of the Year award. This honor is bestowed by a panel of judges consisting of professionals in various disciplines and owners of family businesses. Sponsored by Loyola University, Chicago Family Business Center and Arthur Anderson Center for Family Business, family businesses both large and small are evaluated on the basis of positive family/business linkage, multi-generational family business involvement, contributions to industry and community, and innovative, strategic business practices. It was one of the proudest moments in Helen Brett’s history. 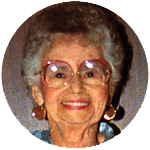 Of course, as important as the Family Business of the Year award was in 1995, 2002 marked an even more momentous milestone in Helen Brett Enterprises, Inc. history when founder Helen Brett was posthumously inducted into the Convention Industry Council’s Hall of Leaders. Only leaders who “have contributed substantively to the meeting, convention and exhibition industry can qualify for nomination,” according to the CIC’s nominating standards. As a testament to her contribution to the industry, and a lasting reminder that her dream had indeed become a reality, a bronze plaque bearing Helen Brett’s likeness is permanently on display at the Washington, D.C. Convention Center and at the Hall of Leaders at McCormick Place in Chicago. A not-for-profit organization, the CIC is comprised of 29 of the leading organizations in the meeting, convention and exhibition industry. Since 1946, Helen Brett Enterprises, Inc. has been instrumental in creating successful businesses by bringing exhibitors together in one place so that buyers have the convenience of purchasing their stock and having the opportunity to take it home the same day. But it’s more than buying and selling, it’s developing relationships that last a lifetime. It’s building trust in partnerships that lead to mutual success. It is the premise on which Helen Brett began her journey and the premise that will carry her dream into the fifth generation.